For ‘Everything is Fine’ Kiranos has teamed up with producer Ross Robinson. Possibly a new name to some RGM readers Robinson’s ground-breaking production work in the 90’s on albums by Limp Bizkit, Korn and Slipknot proved a revelation as he somehow increasing the sonic clarity, while upping the power ratio, on a run of hit albums which both reinvigorated and reinvented the metal scene. Hearing those albums back in the day was an eye/ear opener with regard to how metal acts could sound. 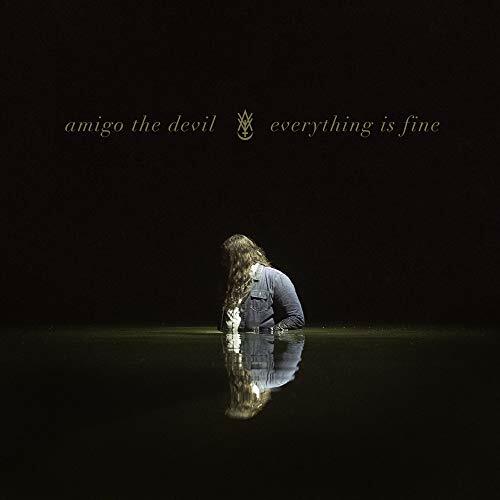 Amigo The Devil’s album features another metal connection as Brad Wilk, the drummer with Rage Against The Machine, Audioslave and Prophets Of Rage, adds his considerable clout to several of the tracks on ‘Everything Is Fine’. The reflective ‘Cocaine and Abel’ opens proceedings with acoustic guitars, piano and strings supporting the vocal, while small snatches of electronica buzz and squirm just below the surface adding a dark quality. It’s an impressive start to a fine record. ‘If I’m Crazy’ is more up-tempo but no less dark thanks to a highly effective synth arrangement “I’m a man of my word and that word is regret” before crashing distorted guitars appear from out of nowhere to support Kiranos’ banshee howl. ‘You’re Perfect Too’ all pounding drums, ghostly backing vocals, buzzing electronics and mariachi horns sounds bizarre but works perfectly. If Robert Rodrigues is looking for someone to score any upcoming Desperado sequels he should give Kiranos a call. ‘Preacher Feature’ is, almost, a straight-ahead old-school country song but sounds way more morose with doubts about faith in the shadow of the hangman’s noose. Those oddly ghostly backing vocals reappear on ‘Hell and You’ and remind me of ‘Johnny Remember Me’ the John Leyton classic for some reason. ‘Hell and You’ is wonderfully off-kilter musically in keeping with the album as a whole. Things reach their peak on the startlingly honest ‘I Hope Your Husband Dies’ which pretty much has to be heard to be believed. Lyrical honesty at its most brutal. ‘Capture’ a short Deliverance (the film not the band) style musical interlude effectively clears the palate before ‘Hungover In Jonestown’ adds a quite wonderful, bleakly humorous, twist to proceedings “If romance is dead I guess I’m a necrophiliac” musically I’m thinking The Adams Family performing ‘Fiddler On The Roof’ at this point, which probably means I’ve been off my meds too long. ‘First Day of the End of my Life’ is extremely stark, despite a quietly beautiful acoustic guitar accompaniment, as our protagonist puts their house in order before committing suicide. Thought-provoking and bleak in equal measure ‘First Day’ exhibits a realism that will strike a chord with many. ‘The Liars Club’ all weird clanks and discordantly plucked strings perfectly captures the mental state of a father on a mission too harrowing to contemplate. The choice of instrumentation on many of the songs here perfectly captures the moods that Kiranos is seeking to portray. Pushing all this misery to one side, at least musically, ‘Everyone Gets Left Behind’ kicks things into a totally different gear with a drum pattern that wouldn’t be out of place on a classic ELO record before in typical Amigo style things get a little left of centre with some weird distorted vocal goings-on, but it’s almost joyous in comparison to some of what’s gone before. Strings are to the fore on ‘The Dreamer’ which initially sounds like the perfect love song until you realise that our protagonist is obsessed with his partner to a point where murder is on his mind. ‘Edmund Temper’ is musically very unsettling thanks to a banjo (I never thought I’d say that) as the charismatic Mr Temper deals with the burdens of his less than pleasant activities. The album concludes with ‘Stronger Than Dead’ which seems to bring things full circle as we come to the understanding that whatever life throws at you is better than the alternative. All delivered to the sounds of crashing acoustic guitars and piercing synths. ‘Everything Is Fine’ is a fantastic record. I’ll admit I’m a sucker for pretty much all things gothic and always willing to delve into the darker reaches of literature, cinema and music. 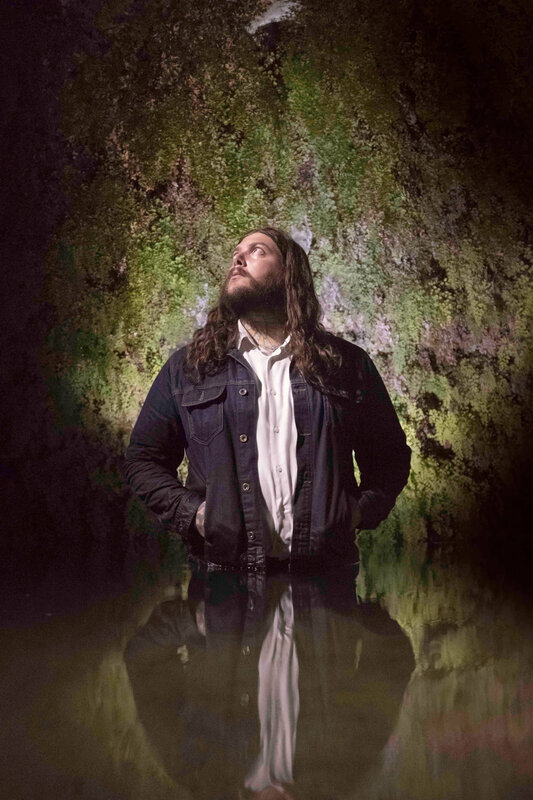 Amigo The Devil delivers on these things with a jet black intensity that makes for a fantastic listening experience if you’re willing to follow him down into the darker reaches of the human condition. ‘Everything Is Fine’ is out now via Regime Inc / Membran.